Looks like other networks are seeing the plus side of adding country music programming to their lineups after the success of ABC's hit series, "Nashville". 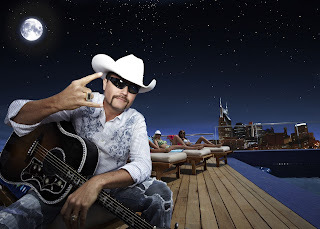 John Rich will star in a new reality series this fall on the TV Guide Network (TVGN). The as yet untitled John Rich Project will film at Rich's Nashville home and feature live performances, celebrity interviews, surprise guests and lots of audience interaction in a loose party atmosphere. The series is produced by 25/7 Productions with David Broome (The Biggest Loser), Yong Yam and Marc Oswald as executive producers. Stay tuned in to Lovin' Lyrics for more info on the show as it becomes available.